If there is nothing on which Nigerians are in agreement in recent times in the area of the nation’s economy and governance, it is that the last year that ended i.e., 2017, was one tough year! 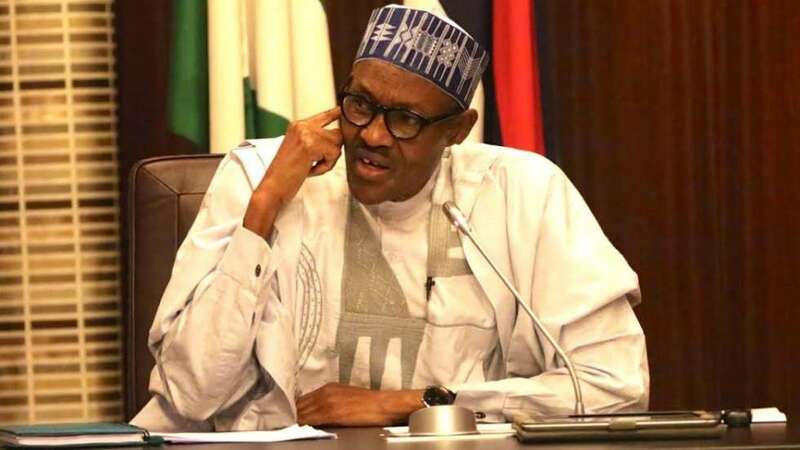 It was a year that saw the Nigerian leader, President Muhammadu Buhari hospitalized for undisclosed ailment but which most believe was related to his age and which he survived. It was also a year in which inflation, unemployment, the economic recession, volatile exchange rate and the general situation in the country presented huge challenges that in the thinking of the faint- hearted, the country would come out worsted. It was felt that most Nigerians had lost hope in the country and that this cannot be reversed. Surprisingly, however, except for the fuel scarcity that to a large extent marred the Christmas celebrations and which was clearly the consequence of sabotage of the effort of the Buhari administration to come out with a clean record of performance in 2017, despite all the odds, on a general note, the government of PMB recorded appreciable successes in many areas. Aside the success in the area of security and fighting insurgency which has been a strong point of the Buhari administration, there are quite a number of notable achievements which portend a good omen for the country in 2018, as these achievements would have a direct and positive impact on the performance of the nation’s economy as the new year unfolds. Perhaps the most important achievement of the Buhari administration is the success of the government’s economic diversification programme in 2017. Government policy and support at both federal and state levels positioned agriculture to emerge as the new driver or at least an important sector of the nation’s economy. Thousands of people went into agriculture with the cultivation of rice as a focus. Within the year, the production of rice has so grown that Nigeria’s import bill for the commodity fell drastically with the country becoming a significant exporter to its neighbours. Most states of the federation now have their own rice brands. The result, the country was able to exit the economic recession that had ravaged it since the beginning of 2016. The exit of recession was also followed by a significant reduction in inflation as prices of locally produced food items fell and food production increased contributing to the much- talked about food security which has now become a reality as long as the current momentum can be sustained. Part of the events that contributed to the exit of recession was the stabilization of the unpredictable exchange rate, courtesy of the hard work of the Central Bank of Nigeria (CBN). The naira stabilization began in April 2017 as the CBN introduced a new foreign exchange regime for investors and exporters. This attracted millions of Dollars in foreign portfolio investment. The improvement in the foreign exchange regime impacted positively on the nation’s stock market which last month was adjudged one of the best performing in the world, delivering as much as 40 per cent return on equity, courtesy of the CNN news network. Also, Nigeria’s foreign exchange reserves grew by 12billion Dollars, the highest since 2014. The country also added the sum of $250million to its Sovereign Wealth Fund and was able to achieve a trade surplus in 2017. The improvement in confidence in the country’s economy, was made manifest when the country successfully issued two Eurobonds, one Sukuk bond and a diaspora bond valued at 300million Dollars and which was handsomely oversubscribed. Nigeria also successfully issued the first Sovereign Climate bond in Africa perhaps to underscore its new found confidence. The bond would raise billions of Dollars in infrastructure spending. Power generation and supply recorded modest improvement on the back of the launching by the Federal Government of a 701 billion naira power intervention fund, known as Payment Assurance Programme (PAP). Following the confidence engendered by the PAP, the amount of power being distributed is now steady at 4000 megawatts- the highest by the country in so many years. The business climate in the country improved tremendously according to World Bank data. Nigeria’s ease of doing business position improved radically after President Buhari gave his economic team marching orders to make the country more business friendly. Nigeria jumped 24 places from her previous ranking to occupy one of the first ten positions in the World. To improve government revenue, an aggressive taxation regime was put in place while a tax amnesty scheme was initiated by the Federal Inland Revenue Service (FIRS), to encourage defaulters to voluntarily own up to their liabilities and become willing tax payers. So far, this programme has been very successful. Related to this, is the whistleblowers policy which has made the fight against corruption a popular past time among Nigerians. Millions of Naira in different currencies have been recovered from looters as a result. The Buhari administration during the year in review, also put in place and commenced the implementation of a Social Investment Programme (SIP). This is Nigeria’s most ambitious programme so far. It is already being implemented in many states. Under the programme, 5.2 million primary school children in more than 28,000 schools in 19 States of the federation are being fed daily, while 200,000 unemployed graduates are engaged in the N-Power job scheme with millions of naira already disbursed as loans to thousands of artisans, traders and farmers. The administration commenced payment of pension which has been on the drawing board since the past 17 years to retired policemen who joined the defunct Biafra Police Force during the civil war in the spirit of One Nigeria and national reconciliation. Related to this is the effort by the government to meet its salary and pension obligations to Federal civil servants and its encouragement of State governments to do same through special financial packages. In the troubled North eastern region of the country ravaged by terrorist insurgency, the administration has restored peace to many communities while the security forces continue mopping up operations against the Boko Haram. While the insurgents are still able to cause fear and panic through occasional bombing activities, it is no longer a fighting force. The administration has to a large extent reduced hunger among refugees in internally Displaced Person’s Camps in the region. According to the Food and Agriculture Organization of the United Nations (FAO), the number of the hungry in the North east has reduced by half. During 2017, the Nigeria Customs Service and the Joint Admissions and Matriculation Board (JAMB) made government proud by making record payment of revenue collected into the coffers of the government showing that financial discipline and anti- corruption culture are taking root. The Customs Service crossed the one trillion revenue collection mark the highest ever in its history after some initial uncertainty in its work. Thus it surpassed its target for the year by more than 200 billion while JAMB, never known a high revenue earner, remitted the princely sum of N7.8 billion; a feat which has been followed by encomiums on the new management and calls for probe and imprisonment of the Boards former management. Clearly the year 2017 could be said to be the year that the foundation of genuine agricultural revolution was laid in Nigeria. It is expected that the foundation laid which are based on achievements that can be verified, would stand the country in good stead in 2018 and beyond. In 2017, the government instituted a Presidential Fertilizer Initiative (PFI) which saw the resuscitation of more than a dozen moribund fertilizer blending plants and cooperation between Nigeria and the Kingdom of Morocco on sustained production and supply of fertilizer. It should be stated that challenges remain for the administration of PMB in spite of the sterling performances recorded. Top on the list is to create jobs for the millions of the unemployed and halt the prevailing job losses ongoing, achieve a more realistic exchange rate and revive through policies and concrete actions, hundreds of moribund industries and others closed down as a result of the prevailing harsh economy. On these, however, all hands need to be on deck while the government provides the inspiring leadership that would make it possible. Ignatius Arinze is a Public Affairs Analyst based in Abuja.